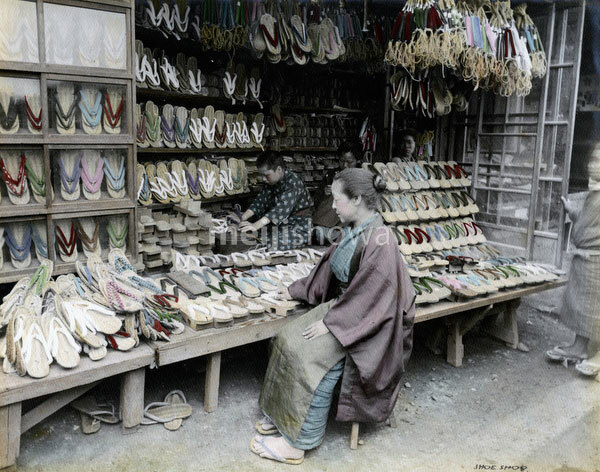 A shop selling geta, Japanese wooden shoe wear. The roots of geta go back to the Yayoi era, but they became especially popular in the Edo Period (1600–1868). Geta craftsmen offered a wide variety of geta, depending on the fashion of the time.